Kidzworld saw the newest Marvel superhero movie Doctor Strange. Is Benedict Cumberbatch great in the magical role? How cool are the mind-blowing special visual effects? Check our movie review. 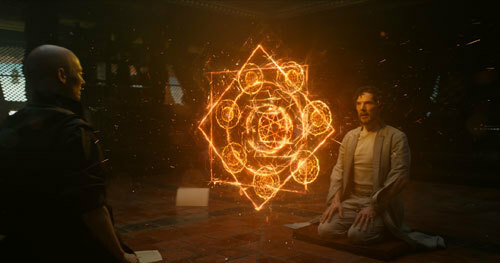 In Doctor Strange, Stephen Strange (Benedict Cumberbatch) is a brilliant neurosurgeon who thinks he’s all that and a bag of chips. 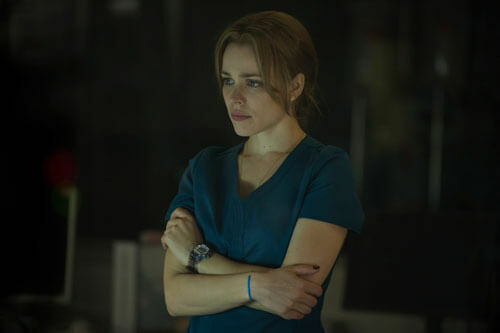 He can’t even give his ex-girlfriend fellow surgeon Christine Palmer (Rachel McAdams) credit for a procedure they both developed. This dude is headed for a fall, bigtime….followed by a magical re-birth. In Kathmandu, Nepal, the sorcerer Kaecilius (Mads Mikkelson) and his followers murder the librarian of Kamar-Taj, a secret compound where mystical texts are kept. He steals a ritual from a book belonging to The Ancient One (Tilda Swinton), a seemingly eternal sorcerer who was his teacher in the mystic arts. The Ancient One chases the rebels but Kaecilius escapes into another dimension with the spell pages. 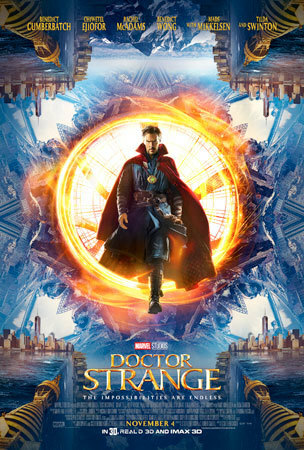 Dr. Stephen Strange, an acclaimed neurosurgeon with a ginormous ego, loses the use of his hands in a car accident. After months of surgeries and attempts to heal him fail, Strange rebuffs his co-worker and former girlfriend Christine who is only trying to help him adjust. When Strange learns of Jonathan Pangborn (Benjamin Bratt), a paraplegic who miraculously gained re-use of his limbs, he seeks him out. Pangborn tells Strange to go to Kamar-Taj. There Mordo (Chewitel Edjiofor) another sorcerer taught by the Ancient One, welcomes him. The Ancient One reveals the astral plane and other dimensions to Strange with her power. He wants to learn but can’t let go of his ego, much like her student Kaecilius. Strange begins his magical training under the Ancient One and Mordo. 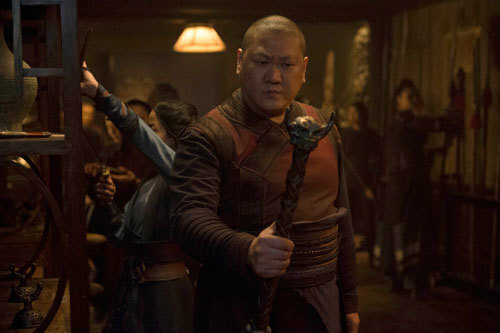 He quickly reads the ancient books in the library now protected by Master Wong (Benedict Wong) who simply won’t laugh at Strange’s jokes. He learns that Earth is protected from other dimensions and evils dwelling there by a spell tying together three Sanctums in NYC, Hong Kong and London. It’s up to the sorcerers to protect the Sanctums. Pangborn rejected helping and opted for his old life and re-use of his limbs. Strange would love to get his surgeon’s hands back. 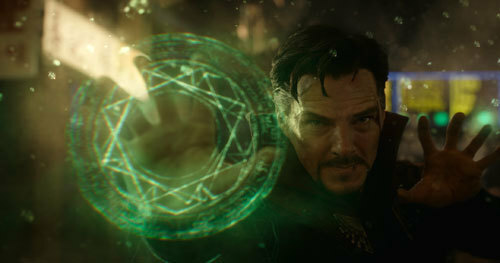 Reading forbidden texts, Strange learns to bend time with the Eye of Agamotto one of the famous Infinity Stones. 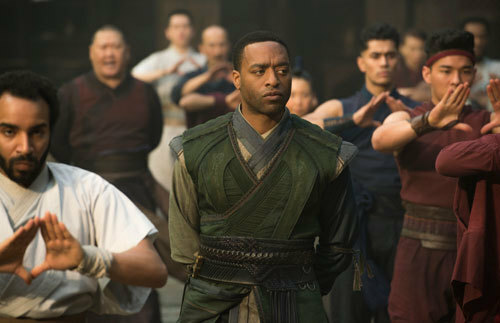 Mordo and Wong warn Strange that using the power he has found goes against the laws of nature. Kaecilius used it believing that there should be no death. 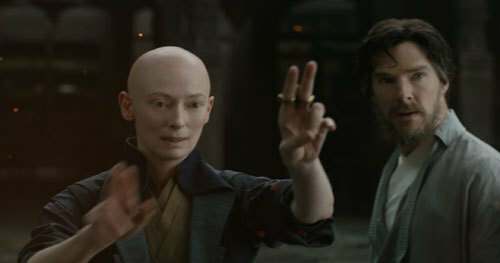 Why can’t everyone live as long as the Ancient One? Kaecilius and his followers use the stolen spell to summon powerful Dormammu of the Dark Dimension where time doesn’t exist. This destroys the London Sanctum and Strange and Mordo hurry to protect the New York Sanctum. 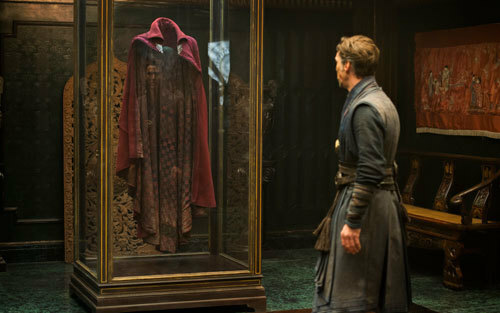 A powerful object, the Cloak of Levitation chooses Strange and this helps him hold off the baddies. Mordo and the Ancient One arrive in NYC. Kaecilius reveals that The Ancient One’s long life is owed to her own use of the Dark Dimension’s power leaving Strange and Mordo disillusioned with her. 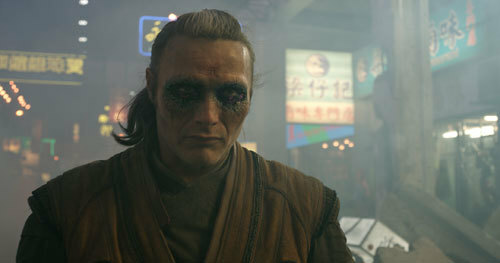 Kaecilius mortally wounds the Ancient One and escapes to Hong Kong. The dying Ancient One tells Strange that he will also have to break the rules, because Mordo won’t. Meanwhile, Strange has involved Christine Palmer in a lot of this and is totally freaked and confused. The last of the Sanctums in Hong Kong is under attack and the Dark Dimension is spreading over the Earth. 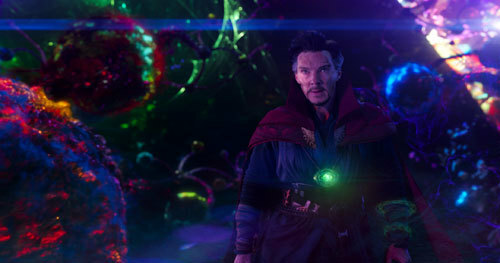 Strange uses the Eye to turn back time and save Wong. He then faces Dormammu and creates a time loop where they will both be trapped forever unless the demonic creature agrees to leave Earth forever and take Kaecilius and pals with him. Will this work? Where will Strange end up? Will he also decide to reject the mystical guardianship of Earth and selfishly just use his power to restore his hands? Doctor Strange is great entertainment. As usual, Benedict Cumberbatch nails it. His Strange is full of ego, then self-doubt and finally heroic sacrifice. All the other cast members are great as well as are the interesting special visual effects, including building bending and cool mandalas, shields and portals whipped up magically and represented by glowing fire and embers. At least this Marvel film doesn’t look like all of the others. I love that humor is laced throughout the movie, something very lacking in movies like Batman v Superman. 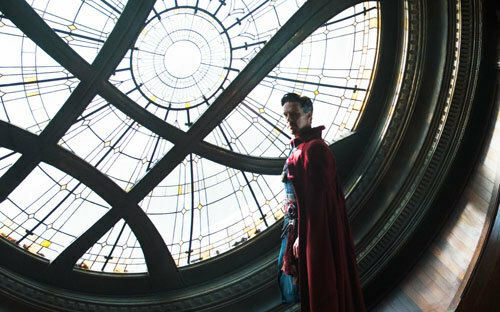 Strange plays ‘70’s tunes while he operates, he makes jokes that Wong just doesn’t get…until he does and the mystical Cloak of Levitation that seems to sort of cuddle up to Strange and have a mind of its own, provides a lot of dashing fun. 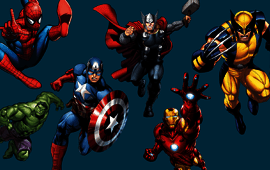 The famous Marvel credits scenes are there…two of them, so stick around. One scene deals with Pangborn getting what’s coming to him and another features Doctor Strange and Thor sharing tea, a beer and a plan to find Thor’s dad Odin. Good performances, visually interesting magic and a good look at an off-beat superhero’s origin story make us go four stars. Were you familiar with Doctor Strange in the comics? Are you a Benedict Cumberbatch fan? Do you sometimes wish you could use magic to fix what’s broken in your life? Leave a comment!